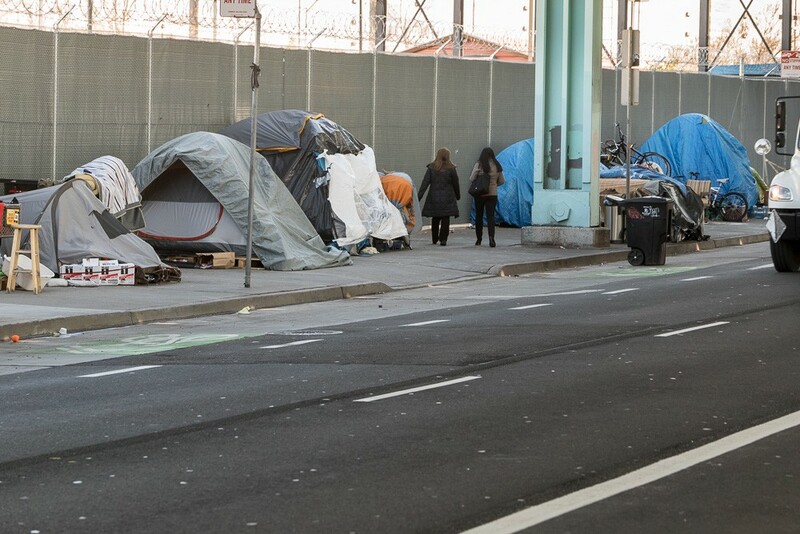 The City’s homelessness crisis, and the dangerous conditions we see on our streets every day, aren’t just failures of public policy; they undermine what it means to be San Francisco. The City of Saint Francis should never let thousands of people shiver in the cold or endure illness and addiction alone on the streets. Nor should The City that Knows How remain unable to improve, much less solve, the most persistent problem we face. Walking the streets of San Francisco can be a frightening, demoralizing, even an unhealthy experience for residents and tourists alike. A report last month declared our streets dirtier than some of the world’s worst slums, and we all witness the smells and sights to prove it. If not for the diligence of our street cleaning crews and public health workers, the City probably would have already experienced a deadly Hepatitis A outbreak like San Diego did last year. We can change this homelessness crisis. We must change it. And as your Mayor, I will do everything I can to see that we do. With commitment and the right investments, we can create a San Francisco where no one is forced, relegated, or allowed to sleep on the streets, and where no one endures addiction or mental illness on the streets without supportive and effective services. On any given night, 7,500 people are experiencing homelessness in the City, about half in shelters, jails, or hospitals, and the other half sleeping outside. This is part of crisis seen all over urban America, particularly the West Coast. 69% of surveyed homeless residents were living in the City when they became homeless. Only 10% came from outside the state. Considerably more homeless individuals are on the eastern edge of the City. District 6, which includes the South of Market and Tenderloin neighborhoods, actually has almost as many homeless people as all of the other districts in the City combined. We don’t just have the same 7,500 homeless people year after year — that would be a much easier situation to address. Our homeless services see over 20,000 different people each year. When people fall into homelessness, they are more likely to use drugs and/or become depressed, more susceptible to mental and physical health risks, and far more likely to become victims of sexual violence. San Francisco spends about $250 million on homeless services each year, the vast majority going to supportive housing, eviction prevention, rental subsidies, and other means to keep people from becoming homeless — again or at all. The City helps about 2,000 homeless people out of homelessness each year. Yet our homeless population remains steady, because people become homeless again and other people fall into homeless for the first time. If we can help almost 2,000 people exit homelessness, we can help more. And we can prevent others from becoming homeless. As Acting Mayor, advanced the late Mayor Lee’s commitment to get 1,000 homeless individuals off the street during the winter by expanding shelter capacity, opening new units of permanent affordable housing for formerly homeless veterans at the Auburn Hotel, and moving forward on opening two additional Navigation Centers. We have only taken the first step — more must be done immediately. Co-wrote the Housing For All ballot measure which will generate $1 billion for 2,000+ homes for middle income families, teachers, firefighters, and hundreds more homes to help move homeless people off our streets. Our measure also stabilizes current renters in their apartments to help prevent homelessness in the first place. Additionally, it provides funding for housing for our low-income seniors. Worked with Mayor Lee to pass the $310 million housing bond in 2015 which is building, buying, and preserving affordable homes; preventing evictions; and repairing public housing. Secured $2 million to restore unused public housing units for 179 homeless families who now have a safe, permanent place to call home. These families were waiting months in our shelters for permanent housing while we had vacant public housing units. That was simply unacceptable to me. Helped pass “Soft Story” legislation to retrofit thousands of seismically unsafe buildings around the City and improve the stability, fire safety, and accessibility of our existing housing stock, including nearly 3,000 rent-controlled buildings with 60,000 residents. Wrote groundbreaking legislation that prioritizes neighborhood residents and those facing displacement for the affordable units in their community. With this legislation residents now have a real opportunity to get access to affordable housing built in their communities. When the federal Department of Housing and Urban Development tried to stop this law, I flew to Washington D.C. to fight for the people of San Francisco. And we prevailed. Created the Safe injection Services Task Force to help get IV drug users off the streets and into treatment. I consulted with medical professionals and visited safe injection facilities in Vancouver, Canada, and I am eager to see this program tested here. These facilities don’t just help get needles off our streets, they also help us save lives. Recently introduced legislation to reform and decriminalize our conservatorship program so that public health officials can provide care for someone who is unable to care for themselves. This legislation will help people who are struggling with mental illness on the streets to transition into treatment and healthy, stable homes. Supported legislation requiring the City to open six new Navigation Centers to help homeless individuals move off the streets and into stable housing. Negotiated and sponsored legislation to buy the blighted McDonalds on Haight and Stanyan Streets for the construction of 100% affordable housing. Introduced legislation creating a permanent right to civil counsel for tenants facing eviction in San Francisco which will provide legal and mediation services to help renters defend themselves against unfair evictions. I am working to secure funding for the program in this year’s budget, and as Mayor I will ensure it stays funded. Helped launch the Rental Assistance Demonstration program (RAD) for public housing, a partnership with the Department of Housing and Urban Development that enables the City to leverage hundreds of millions of dollars to rehabilitate 3,500 public housing units and build 1,000 new units for 8,000 low-income residents. We have already seen the program’s success with the renovation of the Robert B. Pitts housing site in my district. Helped save affordable units at Frederick Douglas Haynes Gardens and was thrilled to open the Willie B. Kennedy Apartments for seniors, which houses those in our neighborhood who needed it the most. Worked with former Supervisor Scott Wiener to extend rent control protections for people living with HIV/AIDS. Introduced legislation to make us the first city in the country to eliminate onerous booking and parole fees which cost us more to administer than we collect and make it harder for people who have paid their debt to society to get back on their feet and avoid homelessness. We cannot continue to accept tents on the sidewalk, encampments in our parks, or scattered, redundant programs that aren’t effective. We can’t continue to have our hospitals and jails serve as some of our largest shelters, nor our police officers and paramedics as our first line of homeless services. We can’t leave people on the street any longer. There is nothing compassionate or safe about relegating people, particularly those suffering from mental health or addiction issues, to sleep on our streets. My goal is to keep people in their home if they already have one, get people housed if they are currently homeless, provide people with the mental health and addiction services they need, and ultimately create a San Francisco where no one is forced, relegated, or allowed to sleep on the streets, and where no one endures addiction or mental illness on the streets. This will require a multi-faceted plan. Build 5,000 more housing units each year. Pass my Right to Counsel Law and ensure it is funded, so tenants facing eviction have a right to legal defense. Help pass our Housing For All ballot measure this June to generate $1 billion to build and protect housing for the homeless, low and middle income residents including our seniors. Expand our rental subsidy programs for low-income tenants, particularly via the Homeless Emergency Service Providers Association (HESPA). These critical funds provide support for tenants who need assistance with rent to prevent them from becoming homelessness, or a security deposit for someone to get access to housing. Protect existing affordable housing units from converting to expensive market rates when their affordability covenants expire. Several affordable housing properties throughout the city have time-limited affordability restrictions which must be extended in order to keep those units affordable for the next generation of tenants. Continue implementing the Rental Assistance Demonstration program (RAD) to rehabilitate public housing. Continue investing in our affordable housing stock via measures like our $310 million housing bond. Continue improving the safety, and accessibility of our existing housing stock via tools such as the “Soft Story” legislation I helped pass. Expand the Good Samaritan rent law which provides discounted rents to people who have been displaced by a fire or earthquake. Maintain our successful efforts to regulate Short-Term Rental websites like Airbnb and HomeAway. Our legislation is helping residents afford to stay in San Francisco by renting their unused space, while ensuring bad actors don’t remove whole apartments from the housing market. Put nurses back in our schools to help identify emerging mental health needs early in a child’s life. Improve hospital and hospice access for vulnerable tenants and homeless individuals so those with terminal illness can receive compassionate end-of-life care. 2. Improve Mental Health & Addiction Treatment and Address Street Behavior. Open Safe IV Injection facilities! We can provide safe places for IV drug users so they won’t be injecting in public, so they will be monitored to prevent overdoses, so the needles won’t end up on the sidewalk, and so we can credibly say: we will allow safe injection facilities, but shooting up on the streets is NOT acceptable. Expand Street Medicine Teams to include more nurses and healthcare workers, so homeless individuals, particularly women, have access to critical healthcare services. These teams build trust, which is an important first step in helping people out of tents and into housing. Extend hours at our shelters so they are accessible and open during the day for those who need them, not just as a place to sleep at night. Ensure better enforcement and evaluations for 5150 and 5250 holds. These laws allow for a trained clinician or other professional to temporarily detain an individual who is a threat to themselves or others. People struggling with debilitating mental health issues should not be released simply because 72 hours has gone by; we need real comprehensive evaluations and follow-through to ensure the individuals are safe. Expand the Pit Stop program, which provides portable, staffed bathrooms and safe needle disposal for people on the streets. Reduce opioid overdoses, such as the three men who tragically passed away last month, by monitoring for the very dangerous and often-homemade drug fentanyl, and making the anti-overdose drug naloxone more readily available. 105 people died of opioid overdoses in the City in 2016, a number which would have been dramatically higher if not for naloxone. Expand the Community Paramedicine program, which I helped reinstate during the ambulance crisis in 2014, so that ambulances, police, and emergency rooms are not the default response for people who just need a bed and warm meal. 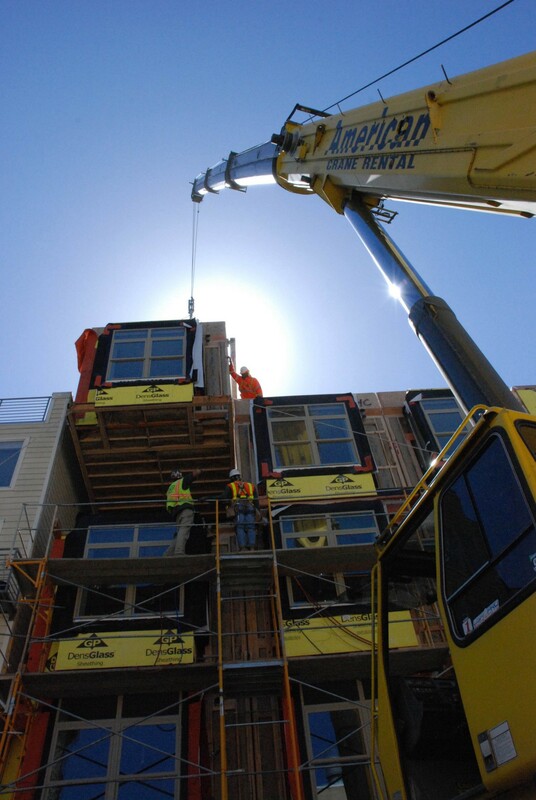 Modular housing can be built faster and less expensively. Write and pass a $50 million General Obligation bond to build modular homes for homeless people. Then pursue matching private funds, and build over 600 modular homes quickly and inexpensively, with local labor. Create a supportive In-Law Unit/Accessory Dwelling Unit (ADU) program where the City pays for the construction of ADU units (such as these) and manages the permitting process, in exchange for the property owner making the unit permanently available as affordable housing to “Moving On” tenants. The owner’s rent revenue can help repay the City’s costs and fund further ADU projects. This approach expands permanent housing exits for those in our shelters and SRO’s. Get more out of each homeless dollar we spend by launching audits and potentially implementing pay for performance contracts of the dozens of entities providing City-funded homelessness services to ensure providers are achieving the goals we are paying for. Implement and improve our unified data system to ensure the various agencies and nonprofits serving homeless people are accurately tracking their history and needs and allocating resources appropriately. Continue, and if possible expand, the Homeward Bound program, which helps over 800 homeless people return home to their family and friends each year by providing bus tickets to their home city. Build more Navigation Centers, which have more services and fewer restrictions than typical shelters — “partners, pets, and possessions” are allowed. Navigation Centers aren’t a permanent solution, but they’re an important component and we are not opening them quickly enough. We also need to provide flexibility in our Navigation Centers to allow individuals to stay longer while they wait for permanent housing. Leverage Assemblymember Phil Ting’s legislation AB 932 to expedite construction of homeless shelters and AB 857 to secure state lands at virtually no cost. There is a parallel federal law making surplus federal property available for shelters or supportive housing, and we have a parcel the City is currently developing for senior and chronically homeless housing. Build an LGBTQ Youth Services Shelter. Create a host-home subsidized housing program for homeless LGBTQ youth, in which a young person lives in the home of a trained community member who has agreed to provide a room and support. Minneapolis has such a program. People with an extra room could help save a young person’s life. Implement the remaining recommendations from the LGBT Aging Policy Task Force to improve unsafe conditions in Single Room Occupancy hotels, and improve the safety of LGBTQ seniors in City shelters by providing LGBTQ-targeted services and cultural competency training for shelter staff. Dramatically expand “step up housing”, in which long-term supportive housing tenants with “Moving On” vouchers (similar to Section 8) move into apartments or SROs and thus free up spaces in master leased hotels. The City needs more exits from temporary shelters; shelters are only an intermediary, not the final outcome. Leasing blocks of apartments, entire buildings, and high-quality SROs is the quickest, most cost-effective strategy to get people out of shelters and into permanent housing, and I will make it a priority. Build, acquire, and preserve more supportive housing. Build more senior housing. No one should face housing uncertainty in their golden years. Lease or buy more underutilized buildings to operate as supportive housing under our Master Lease program, in which the City contracts with nonprofits to manage affordable housing units. These acquisitions are the fastest, cheapest way to bring supportive units online. Acquire more properties via our Small Sites Acquisition Program, to permanently protect rent-controlled and supportive housing units for renters and people in need. Advocate with other mayors, state, and federal officials for more homelessness and supportive housing funds. The City is constantly backfilling shortages from the state and federal governments. I will work closely with private sector leaders to secure donations, and with Assemblymember Ting and our state delegation to pass AB 3171 to provide $1.5 billion in state funds for shelter and supportive housing. In confronting homelessness, our biggest obstacle is the perception that the crisis can’t be solved, that homelessness and suffering on our streets are an inevitable part of city life. They are not. And with your support, I hope to prove that. Walking the streets of San Francisco can be a frightening, demoralizing, even unhealthy experience for residents and tourists alike. A report last month declared our streets dirtier than some of the world’s worst slums, and we all witness the smells and sights to prove it. If not for the diligence of our street cleaning crews and public health workers, the City probably would have already experienced a deadly Hepatitis A outbreak like San Diego did last year. On any given night, 7,500 people are experiencing homelessness in San Francisco, about 3,150 of whom (42%) are “sheltered” in treatment facilities, emergency shelters, jails, or hospitals, and the other 4,350 of whom (58%) are “unsheltered” and forced to sleep outside in parks, businesses’ doorways, or worse. Homelessness often seems like a uniquely, or at least acutely, San Francisco problem. But it isn’t. The federal government has been cutting supportive housing and homelessness funding for decades and leaving cities holding the bag. West Coast cities, with high costs of living and scarce housing, are particularly susceptible to homelessness. Portland, Seattle, and all the major urban areas in California are grappling with rising homelessness crises. Los Angeles has almost 50,000 homeless individuals, 84% of whom are unsheltered, a substantially higher rate than ours. In fact, San Francisco’s unsheltered rate is actually lower than every other large California city. That said, we have an extremely dense city and a higher percentage of our population suffering from homelessness. This makes our problems more concentrated, more visible, and more urgent. In order to help homeless residents, we must understand the challenges they face and take an individualized approach for each person’s or family’s experience. First, “The Magnet Myth”, the impression that San Francisco is a homelessness destination drawing people from all over the country to our generous streets is just not accurate. 69% of surveyed homeless residents report they were living in the City when they became homeless (with about half of them having lived here for more than ten years). Another 16% were living in surrounding Bay Area counties. Only 5% came from other counties in California, and 10% from outside the state. Homeless individuals in San Francisco are our neighbors, and we must do better by them. Our homeless population is disproportionately African American. Our homeless population is also disproportionately impacted by mental and physical health issues. 68% of homeless people report having one or more health conditions, including chronic physical illness, disabilities, substance abuse, or mental health issues. 53% report that these conditions limit their ability to get and keep a job, and presumably to exit homelessness. About one third of our homeless population is “chronically homeless,” meaning someone who has: “experienced homelessness for a year or longer, or who has experienced at least four episodes of homelessness in the last three years, and also has a condition that prevents them from maintaining work or housing.” The chronically homeless endure even higher rates of physical and mental health issues. Our homeless population is also disproportionately LGBTQ, particularly among young homeless people. 30% of the City’s homeless identify as LGBTQ, and among those under the age of 25, an astounding 49% identify as LGBTQ, almost four times higher than the general public in San Francisco. These are often kids who are escaping rejection or abuse at home. San Francisco is their refuge. They come here for hope, and we must treat them better. LGBTQ youth are one of the most heartbreaking parts of our homelessness crisis. The City has made strides in reducing overall youth homelessness. In 2013, there were 914 unaccompanied children and transitional-age youth experiencing homelessness. Now that number is 513. I won’t rest until it is zero. While the number of chronically homeless families has also decreased, families with children still represent nearly one out of every ten homeless person in San Francisco. These families are disproportionately headed by single women, and appallingly, 40% have experienced domestic violence, which is often the primary cause for why they are homeless. It’s yet another heartbreaking part of this crisis. It is important also to understand where homelessness is most concentrated. Considerably more homeless individuals are on the eastern edge of the City, particularly Supervisorial District 6. District 6 actually has almost as many homeless people as all of the other districts in the City combined. Our homeless population is predominantly local, disproportionately African American, impacted by physical and mental health issues, disproportionately LGBTQ, often young, and living predominantly on the City’s east side. But we also have to remember that homelessness is very dynamic, involving a large constituency of people who are close to, or passed, the edge. We don’t just have the same 7,500 homeless people year after year — that would be a much easier situation to address. Our homeless services see over 20,000 different people each year. For folks on the edge of homelessness, shelters and other city assistance help shorten their homelessness. But in most cases, they are getting back on their feet via their family, church, friends, or other support networks. It’s when people get caught in the cycle of living on the street without a support network that homelessness becomes most dangerous. They are more likely to use drugs, more likely to become depressed, more susceptible to mental and physical health risks, and far more likely to become victims of sexual violence. You may see the same person on your block day after day, but that experience can be misleading. The homeless population is very dynamic and involves many more people than the 7,500 folks enduring it on any given night. We must be able to assist all of them effectively and efficiently. San Francisco spends about $250 million on homeless services each year. So you will often hear people say things like: “$250 million for 7,500 people is almost $35,000 per person! They should all be driving BMWs.” It’s not quite that simple. The vast majority of homelessness funding actually goes to eviction prevention, rental subsidies, and supportive housing to keep people from becoming homeless again or at all. The City helps about 2,000 homeless people out of homelessness each year, via Permanent Supportive Housing, Rapid Rehousing (such as rental assistance), and Homeward Bound (which provides bus tickets to reunite homeless individuals with friends or family in their home city). Yet our homeless population remains steady, because some of these individuals become homeless again and other people fall into homeless for the first time. This is why we must support both the formerly-homeless and those at risk of becoming homeless. Nothing about our homeless crisis is easy, but it isn’t impossible either. If we can help 1,800 people exit homelessness, we can help more. And with the right investments, we can keep them from returning to homelessness and prevent others from falling into it.